Dear introverts. Dear moms. Dear resisters and persisters. Dear women needing a break. Moments to yourself. Time to hear yourself think. Time to care for YOU and only you. I have created a perfect spring retreat for you! This retreat centers your freedom to do what you like. You’ll choose among a variety of yoga and self-reflection practices offered. Dive into your coloring book, your knitting, your watercolors, the book you've been wanting to read for months. Work on a jigsaw puzzle in our shared space, or do a crossword by the fireplace. Walk the Heartstone labyrinth, meditate in the Stone Garden, or hike the riverside nature trail just across the road. And do much of this in sweet, sweet quiet. 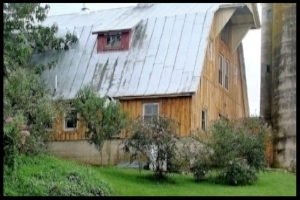 This beautifully renovated vintage barn is our magical shared space - we have yoga in the hayloft! - and it houses the dorm loft rooms and suites. Throughout the retreat, we practice silence together for most of the day. We'll be quiet together all day, and then talk from a little before dinner until bedtime (so, about 4:30p until 10p). Then we’re quiet again until the following afternoon. It is such a luxury to be with ourselves. (And no, it's not weird!! It's sweet, liberating, and intensely recharging . . . and it’s comfortable after about the first 10 minutes). 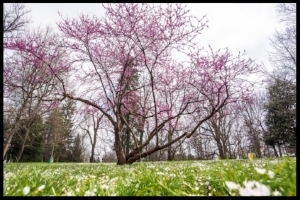 The Heartstone Lodge & Retreat Center is an ideal and idyllic place to be with ourselves. It sits at the mouth of the Shenandoahs, in a beautiful river valley, and is a 3 hour drive from Washington, DC, and only 10 minutes from beautiful Lexington, VA.
You’ll hear roosters in the morning, and enjoy an amazingly starry sky at night. Accommodations choices (detailed below) range from a spot in the loft dormitory to a private suite to a solo cabin 3 minutes away. No car? No worries! There’s always a generous driver happy to give you a lift, and we’ll connect you with her. We begin Friday with dinner and an opening circle, and end Monday with a closing practice and brunch. Saturday and Sunday are rich in optional activities and plenty of free time. All our yoga practices are sweet, kind, and adaptable for every body. They’re infused with coaching and love, empowering you to honor yourself, to let go of expectations, and to do more of what makes you happy, both at the retreat and beyond. Our SoulCollage sessions offer you a perfect way out of silence and into self-expression, from the inside out. And our evenings together - when we release our shared silence, and enjoy connecting with one another - are always warm, lively, and delightful. You are thoroughly invited to do or not-do whatever you want the whole weekend long. Arrival time is after 3p on Friday, and departure is after brunch on Monday. These are the most excellent group accommodations I’ve ever seen in a retreat center! It is charming AF up here at the top of the vintage barn. Yoga is on the second floor, chow is on the first, so you get to stay in your sock-feet all day if you want. The dorm sleeps 8 women, each with her own sweet little sleeping nook. There are shared showers right down the stairs. All-inclusive 3 nights plus dorm accommodation: $875. If you’ll have a car AND you’d love to be extra-away-from-it-all, consider one of the cabins on the outskirts of the farm. You’ll be welcome to come in and out of our shared space in the Barn, but also have extra breathing room in a whole home of your own. Cabins are a couple minutes’ drive - or a short roadside walk - from our shared space. 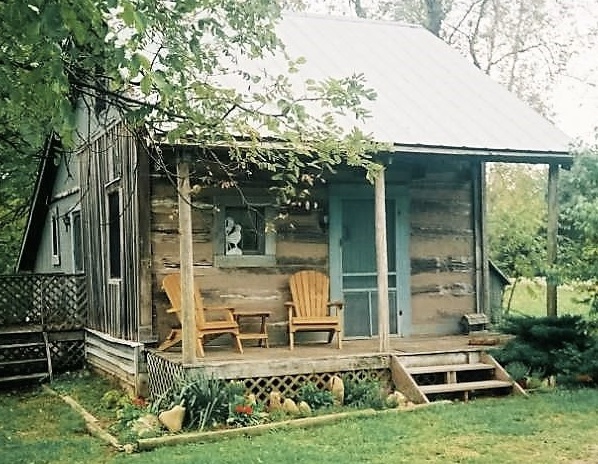 The Homesteader Cabin has two bedrooms; DeHart Cabin has three bedrooms. Both the Writer’s Retreat Cabin and the Stonecutter’s Cabin have one bedroom. All-inclusive 3 nights plus a spot in a shared cabin: $875. All-inclusive 3 nights plus a spot in a solo cabin: $1,350. Two solo suites on the second floor of our shared space. Two small studios just steps from our shared space. All solo spots have en suite bathrooms and queen or king beds. All-inclusive 3 nights plus single accommodation: $1,350. We'll enjoy delicious, healthy, balanced meals cooked by a personal chef. We gladly support your dietary restrictions . . .
and also you're welcome to bring snacks and favorites to keep on hand in the kitchen. YES there will be tea and coffee and sparkling water, and wine with dinner if you like. As anywoman who’s retreated with me will tell you: I love to treat you like queens. Expect to be showered with love! We will be a lovely group of around 16-20 women - a wonderful size for both intimacy and diversity. Your registration includes 4 days, 3 nights' accommodation, 8 meals, twice-daily yoga, two SoulCollage workshops, and plenty of treats. Feel free to email me with questions - but if you’re ready, register now, as this retreat will fill quickly! Do you really want to come, but need scholarship assistance? I have a small fund available; click the email link above and tell me about your situation. Would you rather pay with a check? That’s great for me. Email me and we’ll make it happen! All spots are first-come, first-pick, my friends! I’m committed to you, to the retreat center, and to the women helping me to make this long weekend beautiful. I expect you’re committed, too. If you’re worried you might need to cancel, I suggest you purchase travel insurance.